Liverpool's title chasers were put through their paces at Melwood on a sunny Good Friday afternoon. Jurgen Klopp's side looked extremely relaxed. Liverpool have no injury concerns ahead of their Premier League trip to Cardiff on Sunday but Alex Oxlade-Chamberlain is still unavailable. Jürgen Klopp expects Dejan Lovren to be available for Sunday's Premier League clash with Cardiff City and has no other fresh injury concerns. Liverpool midfielder Alex Oxlade-Chamberlain has jokingly taken credit for teammate Virgil van Dijk's status as the best centre back in the world. 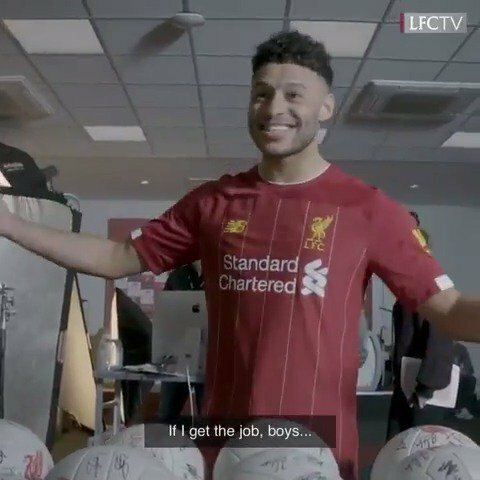 Liverpool released details of their new kit on Thursday and James Milner reacted to the official announcement by joking that he wasn't called to take part in the new video. Making predictions about the future of football is a notoriously thankless task, and identifying young talents with staying power is that bit harder. Liverpool have released their new 2019-20 home kit which is reminiscent of the strip that the successful Reds teams wore in the 1980s. Mohamed Salah was pictured.